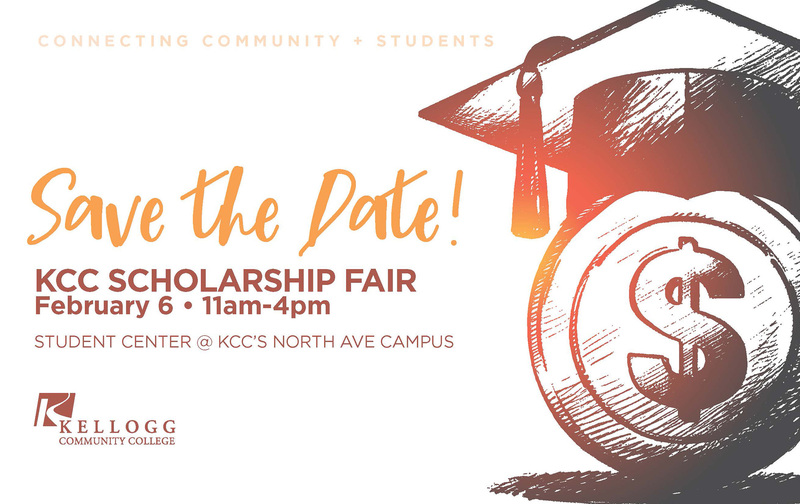 Kellogg Community College is hosting a Scholarship Fair on campus next month to connect current and future KCC students with scholarship opportunities. The KCC Scholarship Fair will run from 11 a.m. to 4 p.m. Wednesday, Feb. 6, in the Student Center on campus at 450 North Ave. in Battle Creek. The event is free and open to the public. The College’s annual Scholarship Fair offers a chance for scholarship seekers to ask questions, obtain forms and fill out applications for scholarships that can be used at multiple colleges and universities, not just KCC. In addition to KCC, local community foundations and other scholarship-granting institutions will also have representatives on hand to provide information and other materials during the fair. For more information, contact KCC’s Financial Aid office at 269-965-4123 or finaid@kellogg.edu.